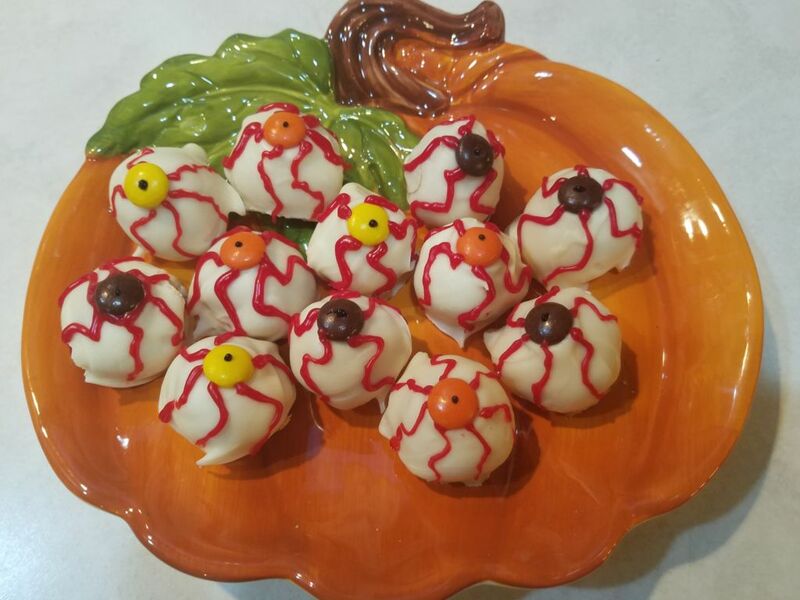 These homemade eyeball treats are sure to fill your guests with fright and delight. A couple years ago I was the chairman for an annual bake sale at our local marching band competition. One year we decided to try something different and have a fall and Halloween theme for the goodies since it was late October. Wow, I couldn’t believe some of the creative ideas for homemade Halloween treats people came up with! In the four years I was in charge of the bake sale, this was the best turnout of goody donations we had ever received–everything was so festive and fun! It also turned out to be the highest profit we’d made in the four years I was involved; spectators and students flocked to the stand to get these homemade Halloween treats before they were sold out. Everyone loved the spirit of the season! When my kids were young, I started a tradition of making holidays special with themed food. Halloween has always been my favorite, with so many great holiday recipes to choose from. 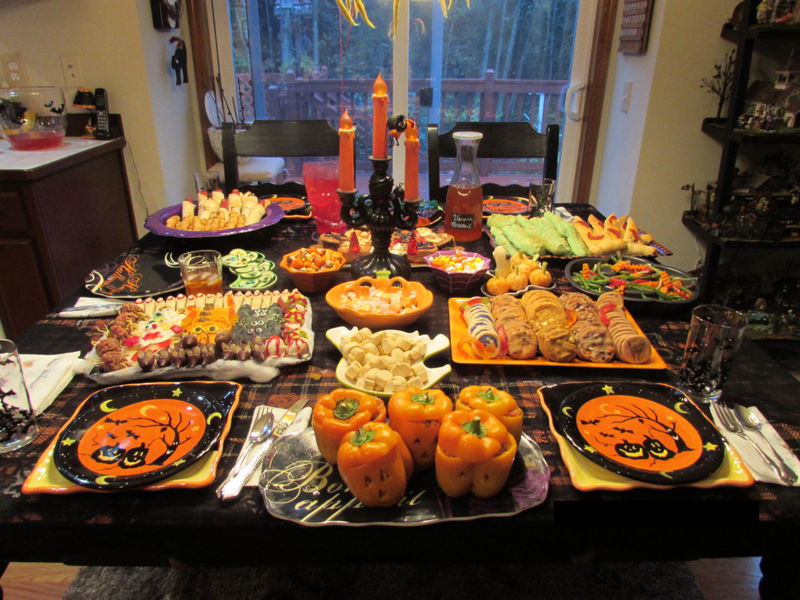 Naturally, with all sorts of new ideas, I set out to add even more ghoulish treats to our already full table. 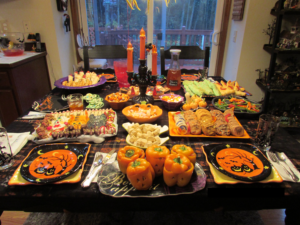 The tradition quickly expanded to all of the kids’ friends joining us for dinner prior to trick-or-treating, and coming back to finish up the sweet treats afterwards. Great way to get it all out of the house! One of the favorite homemade Halloween treats, bloodshot eyeballs, was from a very creative lady friend of mine. 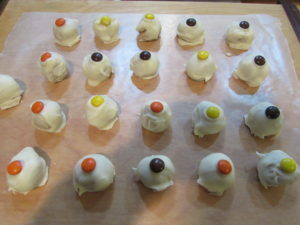 Over the years, I’ve tweaked the recipe a bit to make the perfect consistency peanut butter balls, experimenting with different products for creating the bloody veins in the eyes. I’ve also found that if I freeze them immediately after making them, it sets the veins so they do not bleed (no pun intended) into the white of the eyes. One of the best things about this recipe that there’s no baking required. This is a quick and easy snack that you can whip for a fun Halloween treat in no time at all. Aside from the setting time, it only take about 30 minutes to make a couple dozen bloodshot eyeballs. These will be sure to be a favorite by all! 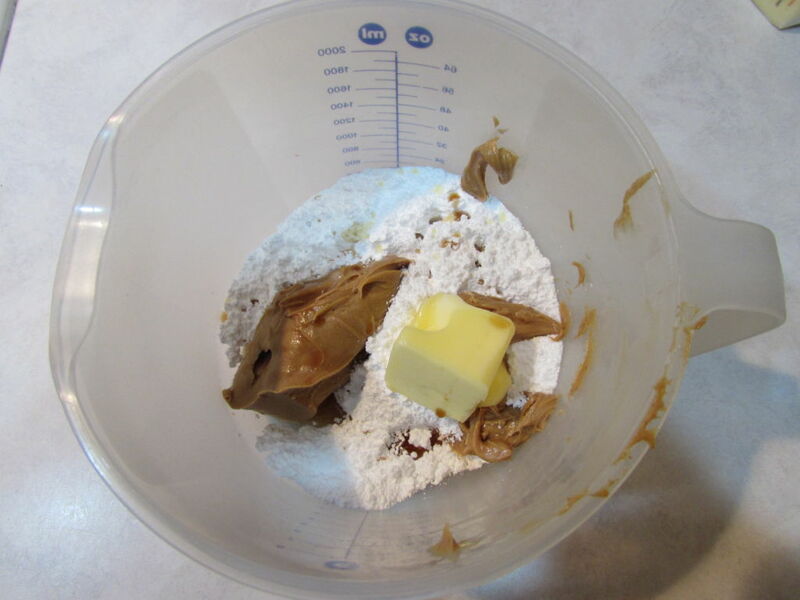 In a small mixing bowl, combine powdered sugar, peanut butter, butter and vanilla. Mix with a hand blender until well blended. 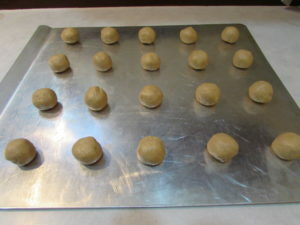 Shape into 3/4″ balls and place on cookie sheet. Chill balls 30 minutes or until firm. Melt candy chips per container instructions. Dip chilled balls into melted chocolate. Place on parchment paper on cookie sheet. 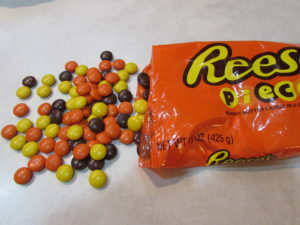 Immediately press (1) Reese’s Pieces or M&M’s on top of ball for pupil. Have some fun with colors! Let stand for 30 minutes until chocolate is set. Using red decorating gel, red decorating frosting, or red edible marker, pipe red squiggle lines throughout pupil for bloodshot appearance. 4-6 lines per eye. Using black decorating gel, or black edible marker, place dot on top of candy piece to create the center pupil. Yes!!! Drives me nuts. I don’t know how to reduce it. Have you learned anything about it?